VANCOUVER – Canada Snowboard, in partnership with Canadian Sport Institute Pacific, is proud to introduce Dr. Jeremy Sheppard as Sport Science & Medicine Lead for Canada Snowboard’s targeted High performance programs. Dr. Sheppard will work closely with Canada Snowboard’s national teams and CSI Pacific experts to help ensure Canadian snowboarders are prepared for this year’s busy competition schedule. Having officially started on October 1st, Dr. Sheppard brings a wealth of experience to this role stemming from his time with CSI Pacific as well as overseas with Surfing Australia’s High Performance Centre and Edith Cowan University. Dr. Sheppard has also enjoyed a number of roles with the Queensland Academy of Sport, Australian Institute of Sport, and Canadian Sport Centre. “Snowboard is one sport, with numerous disciplines, which creates an exciting challenge that I look forward to. 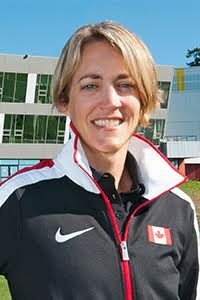 I’d like to think that my experience with elite surfing, BMX racing, and Para Alpine might help me hit the ground running in my new role, but I’m also really excited to learn a lot.” said Dr.Sheppard, who expanded not only on his new role, but CSI Pacific’s involvement in Canadian Snowboarding. As Canada enters an Olympic qualification year, Canada Snowboard athletes will travel the globe competing in a large number of events and competitions ranging from Big Air to Snowboardcross. This is one of the many reasons that makes Dr. Sheppard’s inclusion, as well as this partnership, crucial to this season’s success. Fresh off a podium sweep at the Dew Tour last weekend, the Canadian Slopestyle team heads to Copper mountain for a Big Air World Cup as both Snowboardcross and Alpine Snowboarding teams are in Europe for their respective inaugural World Cups of the season.